A skill that my transitional kindergartners practiced frequently was counting objects and corresponding them with numerals. 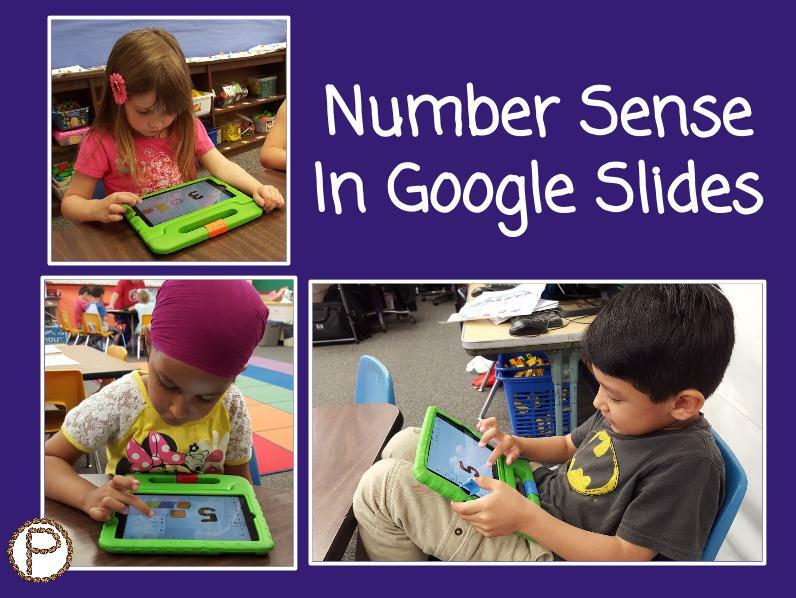 TK’s first task in Google Slides was inserting shapes onto slides to represent numbers. 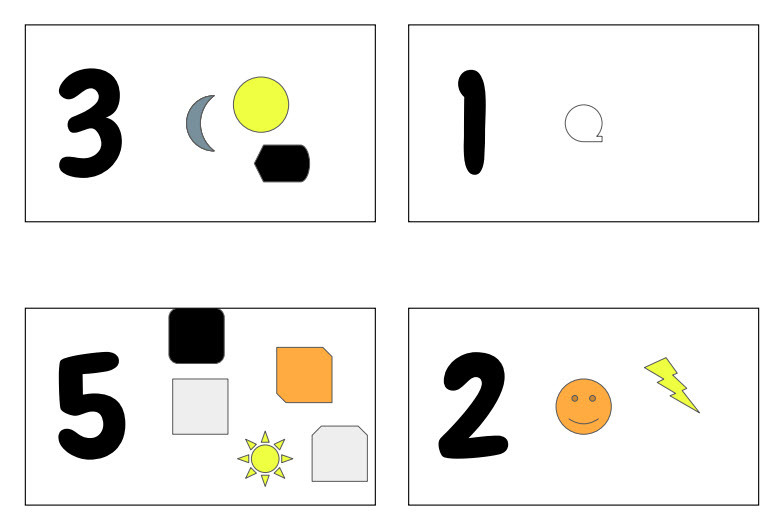 Sample slides from a transitional kindergarten student. The template includes numbers 1-10. You will find that the numbers are “fixed” onto the slides. This means the students cannot move the number or accidentally delete it. The numbers can be edited in the master slides (click View and then Master). I moved the slides around so the numbers would be out of order for the kids. You can choose to leave your slides in numerical order or move them out of order. This activity can also be completed on computers. 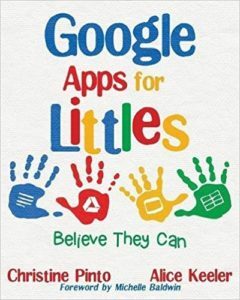 There are actually less steps involved for a kiddo to insert a shape on the computer than the iPad. See the GIF below. 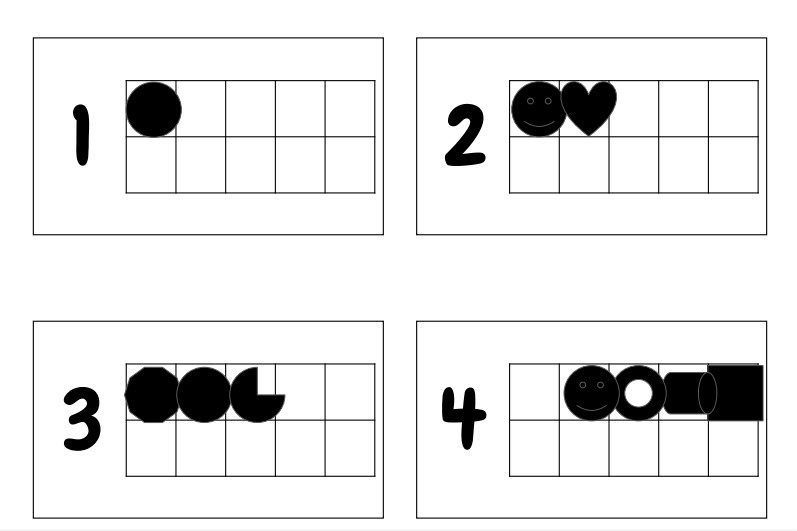 In kindergarten, the skill of number sense is extended into ten frames. The purpose of a ten frame is for students to develop a “sense” of ten. Based on a given number (10 or fewer), students will place objects inside of a ten frame. They can get an idea of how many more objects would be needed to complete the ten frame. Since the concept of ten frames was new to my students, I left the slides in numerical order. The kids completed this task on the iPad as well. Students may have to shrink the shapes to fit inside the ten frames squares depending how wide the screen is on the device that they are using. I found on the iPads that my TKs had to shrink the shapes so they would fit in the squares of the ten frames. On the computer, I found that I could insert the shapes perfectly into the squares of the ten frame, unless I condensed my browser window. 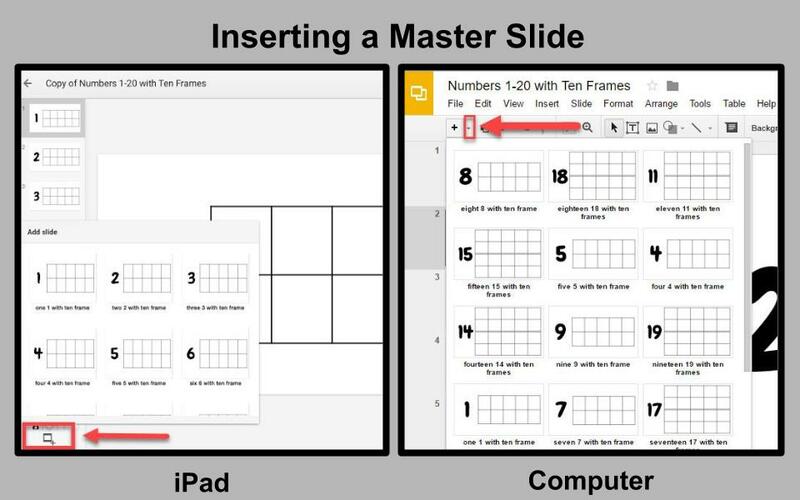 When students messed up on a slide, I showed them how to insert another master slide for them to have the opportunity to try again. This was particularly helpful on the iPads, since deleting objects takes some time. Reference the image below. iPad users click on the slide with the plus sign and computer users click on the baby arrow next to the plus sign. 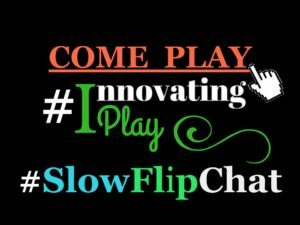 This entry was posted in Chromebook, Kindergarten, Math, Tablet, Template by Christine Pinto. Bookmark the permalink.